I was helping a colleague of mind this evening with a question about retrieving a vCenter Resource Pool given a vCloud Director Organization vDC using vCenter Orchestrator. However, this particular workflow does not exists out of the box with vCO, but with a little help from the vCloud API, we can easily create our own workflow to accomplish this request. We will be leveraging the Query Service introduced in vCloud Director 1.5 and the "orgVdcResourcePoolRelation" query type which provides a mapping between an Org vDC to vCenter Resource Pool. 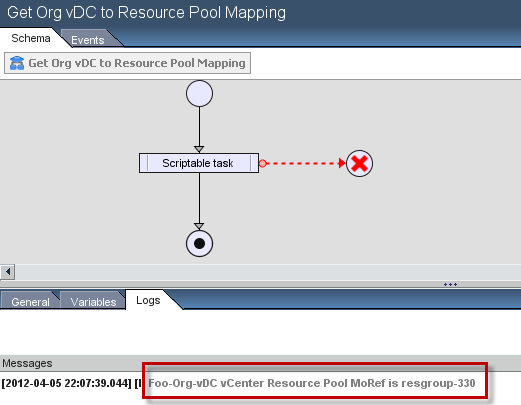 You can download the vCO workflow that I created called Get Org vDC to Resource Pool Mapping and import it into your vCO environment. You will need to make sure you have the vCloud Director vCO plugin installed. 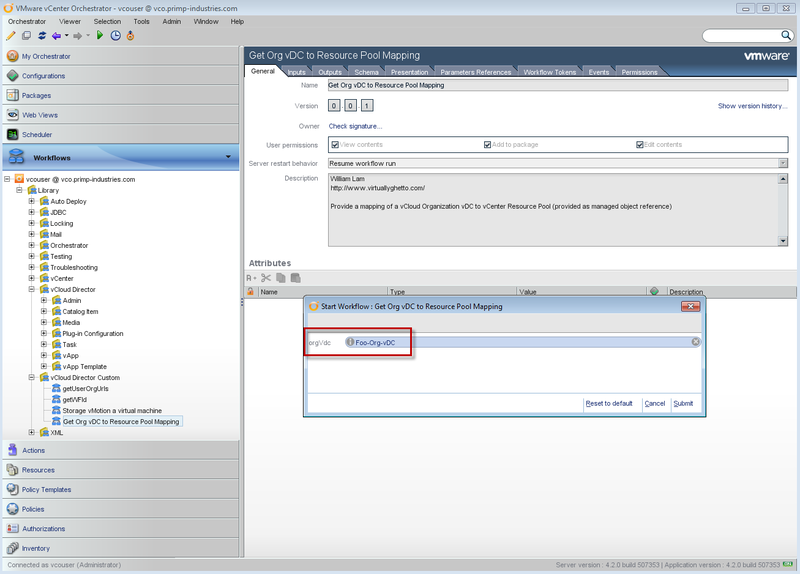 Note: If you go through the query types, you may have noticed the resourcePool query type, the reason this will not work is that it only provides a list of root Resource Pools (basically vSphere Clusters) and it does not return the sub-resource pools that are created for Organization vDCs.